The easiest wedding related decision I ever made was saying yes to my now-husband when he proposed back in December 2016 (after 6 years of dating, I was READY!). The second easiest was choosing Union Eleven to photograph our big day. You see, before I opted to follow my husband to the US where he was working at the time, I was actually the full-time studio manager at Union Eleven. 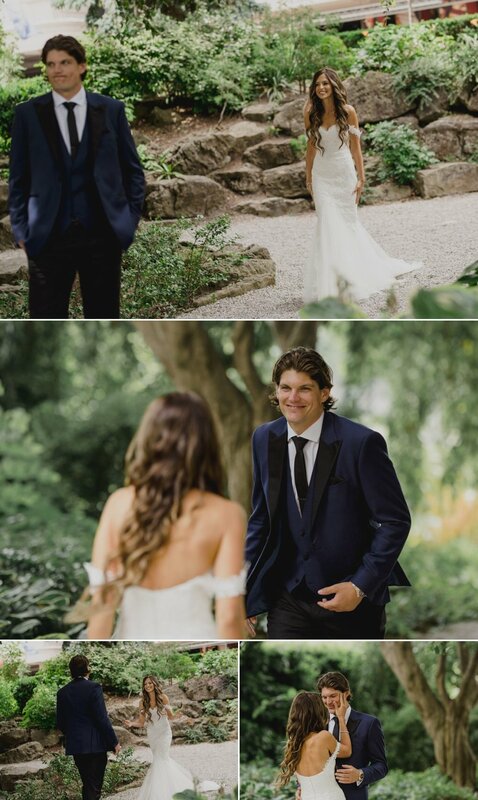 I had the pleasure of spending my weekdays looking at pretty wedding photos, seated at a desk, wedged between Andrew and Derrick in their trendy Glebe studio. We had so much fun every day that I could hardly call it “work”. 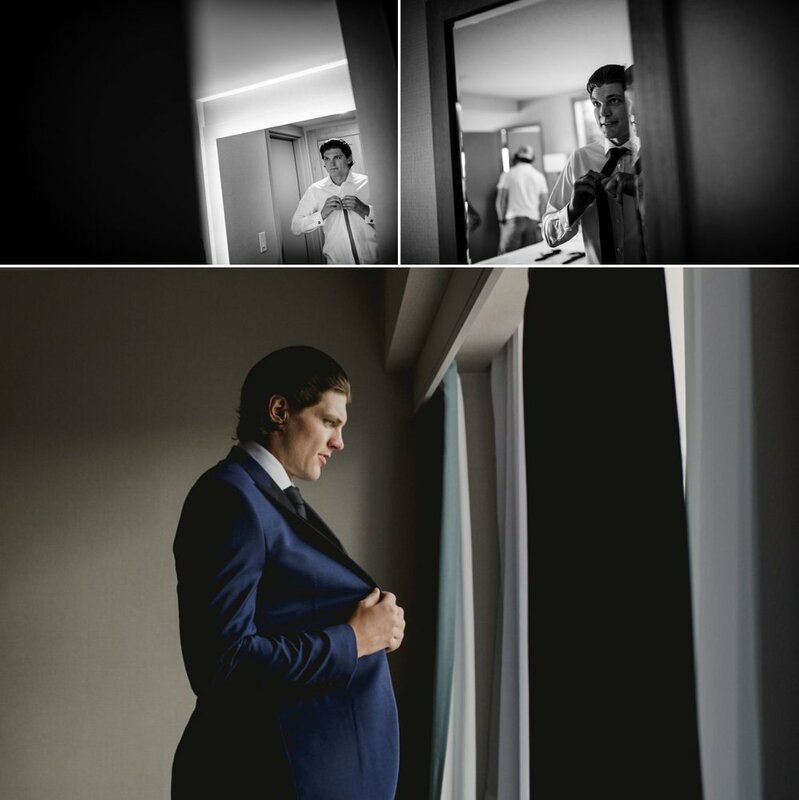 When it came to picking someone to capture our wedding, I just knew it had to be someone from the team… and I was overjoyed when I found out both Andrew AND Derrick would travel to Niagara for the occasion. This is a rarity at Union Eleven to have both of them shoot a wedding together and my husband, Tye, and I felt extremely privileged to have them there. Based on how comfortable I felt around the guys and how well I knew each of their personalities, I was pretty confident that they would also be able to make my “camera shy” hubby feel at ease on the big day. Let’s face it, not many people love having their photo taken - it’s pretty intimidating! Some of the biggest concerns I remember hearing from brides during my time at Union Eleven was that they “weren’t photogenic” or that their significant other felt “awkward” in front of the camera and that they “didn’t look good in posed portraits”. I was not exempt from these apprehensions and neither was my husband… but I reminded myself of the countless amazing wedding photos I had seen come through the studio, featuring the concerned brides I had spent so much time reassuring, and I knew Tye and I had nothing to be afraid of. Our wedding fell on the eve of my husband’s birthday, so during my months of planning (I did the majority of it myself), I came to affectionately nickname our big day “Tye’s epic birthday bash”. (It took a short while but I eventually accepted that it was no longer about me.) I wanted the day to be a true celebration of all the things we love, surrounded by the people we love. I wanted it to be a combination of big city elegance (me - I was born in Montreal and raised in Ottawa) and small town coziness (my husband - born and raised in the small town of Fergus, Ontario). It was very important to me for the day to FEEL like both of us. 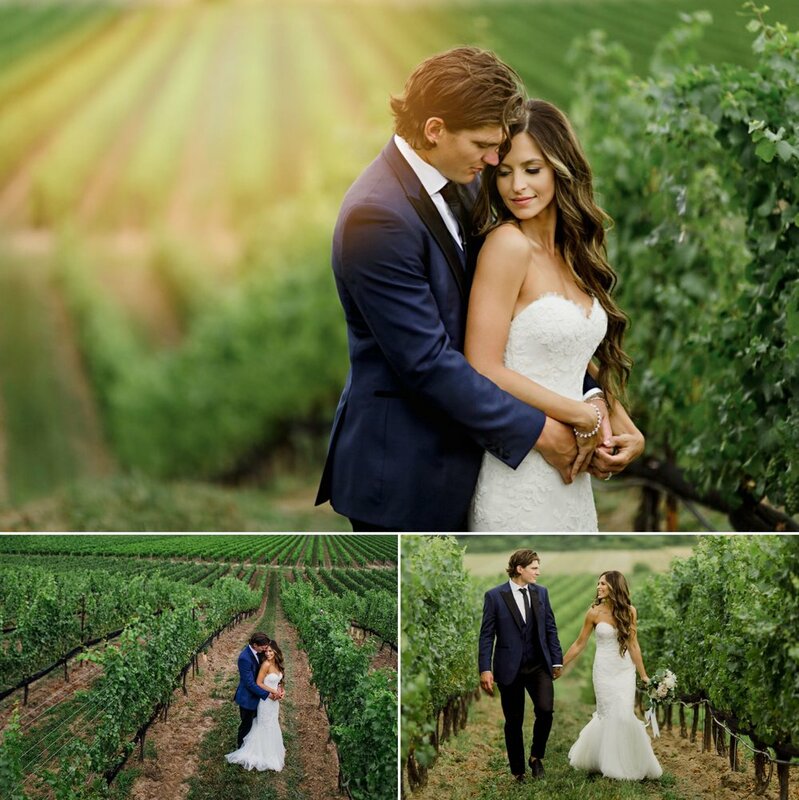 I think the venue we chose was the perfect amalgamation of each of our styles; we got married at Ravine Vineyard Estate Winery in beautiful St. Davids, Ontario (a sub appellation of Niagara-on-the-Lake). Our “i do’s” took place outdoors, in front of the vines; we had cocktails and hors-d’oeuvres on the lawn whilst playing some games and being serenaded by dueling piano players; and finally, the reception was just a few feet away, under a beautifully draped and candlelit tent. I couldn’t have imagined a more perfect backdrop for this incredible celebration! A lot of the decor items, I either sourced or handcrafted myself. I spent a lot of time making signage (with the help of my sister) and putting a personal spin on as many wedding elements as I could. One of my favourite items was our favours; we had a candy buffet with personalized bags that I hand stamped with our faces (got to love Etsy!) and a little “thank you” note. They were a blast to make and the response I received from our guests was well worth the sore fingertips. While the months leading up to the wedding were pretty stressful (my husband and I were living in Arizona, 3500 km from home, 3 hours behind all of our wedding vendors), I was surprised at how calm I was on the actual day. I credit most of that to the people I was surrounded by. My best friends and my closest family members were all in the same place at the same time… what more could I want? I was extremely happy all day - the happiest I think I have ever been - and there’s no denying that when you see the pictures. My husband started his day a little nervous, he said. I had made him a video montage of our 8 years together, which he watched with his groomsmen the morning of the wedding. Getting our pictures back and seeing his reaction to the video was absolutely priceless. That was as much of a gift to me as the actual montage was for him. 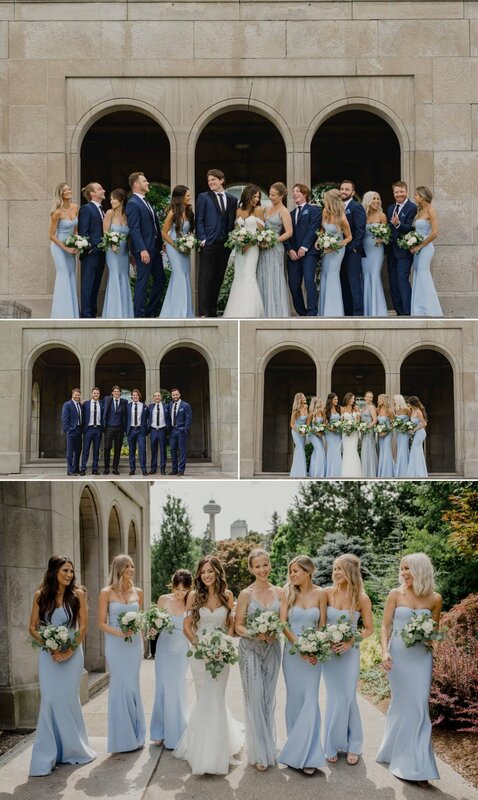 Tye and I chose to do a first look to ease some pre-wedding jitters and to be able to enjoy cocktail hour with our guests. Best decision ever. As soon as we shared that intimate moment, out went the nerves and in came the excitement and anticipation of the celebration that awaited us at the vineyard. On our way to the ceremony, it started to spit and Andrew and Derrick were quick to reassure me that we were just being graced with a little bit of good luck… and while the sprinkle turned into a 7 minute downpour right as I was supposed to walk down the aisle, the clouds eventually parted and made way to a beautiful blue sky and created a pretty dramatic and spectacular backdrop for our nuptials. While I could go on and on reminiscing about this incredible day, I’ll try to summarize it by saying that our wedding felt like one big, warm, fuzzy hug. Surrounded by our favourite people, you could almost touch the love that day it was so intense. Although that may sound like a cheesy, cliche line, it is a genuine and honest representation of what that day was like for us. I remember looking around during our first dance as husband and wife; our guests standing around us in a circle, waving sparklers around and creating a warm glow. I took a second to take it all in and recall telling Tye to do the same. “That is the coolest thing I have ever seen,” he said. And it really was. That moment was the best way to remember what our wedding FELT like, and we are forever grateful to Andrew and Derrick for capturing it so beautifully, along with the rest of the day’s events. It is my wish that every bride and groom can experience the same amount of love as we did on our big day and that they can find the right photographer to immortalize the special moments and emotions in a collection of photographs. A picture really is worth a thousand words.